Corn cobs- These tasty castaways are very likely to become lodged in the intestine as they make their way through the digestive tract. Fruit pits (like peaches)- These are also likely to become lodged in the digestive tract. Believe it or not, cats are as likely to be affected by this type of foreign body as dogs! Skewers- These throwaways once held tasty treats, but now they are more likely to puncture your pet’s esophagus, stomach, or small intestine. Foil, plastic wrap, and string- These may be garbage to you, but they taste like dinner to your pet. Be sure your garbage is not accessible to Fido and Fluffy. Gravel or dirt- Grease and/or meat drippings can make these normally non-edible items extra tasty. 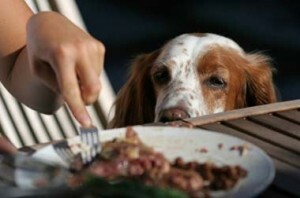 Eating these in large amounts can cause your pet problems! Frying eggs on the sidewalk? 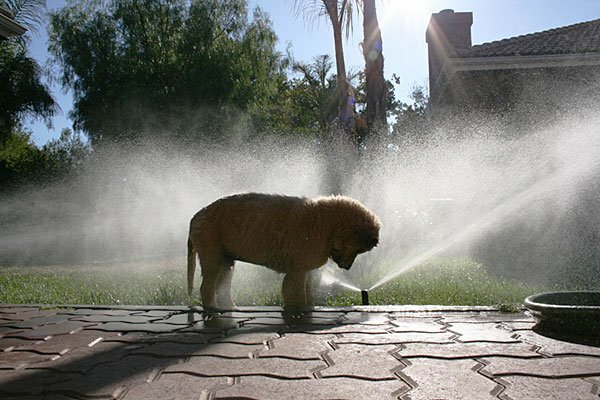 Here are some ways to help you and your pets enjoy the sun without melting! It’s all about the water! Play in the sprinkler, bust out the wading pool, or take a dip in the lake. Always make sure your pet is supervised and rinse him/her off with clean water after swimming. Enjoy a frozen treat. Check out special doggy confections like Frosty Paws, make a giant popsicle by freezing treats or toys into a huge ice cube, or head to your local ice cream joint- many have items on the menu for dogs. Pack a picnic. Put together some of (both of your) favorite treats and find a shady spot to enjoy. Don’t forget a bowl and fresh water for your pet. Outsmart the sun. Head out for a walk or visit the dog park before the sun fully comes up or at twilight during the coolest parts of the day. It may be hot out there, but that doesn’t mean you can’t enjoy the great outdoors! If you have any questions, please give us a call! It is hard enough to leave your pooch or puss behind when you have to be away from home, let alone select somewhere for them to stay. Ease your worries by making sure your boarding facility displays all the signs of being a quality joint. 10. Separate lodging for cats and dogs. Especially for cats, this can be a big deal. Make sure the cats and dogs are not intermingled. Bonus points if cats are kept in an area that drowns out the noise of any barking dogs. 9. Spacious accommodations. Take a look and see if cage sizes seem appropriate to the size of the animal it contains. Don’t forget your pet may be staying more than a night or two. 8. Personalized care. Special diet requirements, medication administration, or caretaking requests should be honored (within reason of course). 7. Opportunity for exercise. Particularly if your pet is staying more than a few days, it is important that they are allowed the ability to stretch their legs and burn off some steam. Even pets that don’t require much exercise (couch potato kitties, older dogs) should be offered some form of interaction on a daily basis. 6. Caring staff. Talk to the people that will be taking care of your pets. Oftentimes you can get a good feel for their level of commitment to their job and to their furry guests. 5. Willingness for you to visit. A good facility should be willing to have you come and take a look around. This is often the best way to get a feel for the quality of care. 4. A plan. A top notch facility should know their policies, have a plan in place for medical emergencies, and ask you about your desires for specific situations. 3. Cleanliness. Of course anywhere that houses animals is bound to have some “accidents”, but overall pet’s living conditions should be clean and smells should be minimal. 2. Vaccination and other health requirements. If a boarding facility doesn’t ask for your pet’s vaccine status or de-worming history, chances are they haven’t asked for anyone else’s pet’s either. Your pet can come into contact with diseases at a place such as this, and a conscientious operation will be on top of these types of issues. 1. A genuine interest in your pet. This is often what separates the good from the great. A great facility will welcome your pet with open arms and offer the same caring touch that you would at home. The presence of a true interest in your pet is what will make you the most comfortable leaving your baby. Be sure to consider us for boarding if you’re taking some time away. We would love to take care of your loved one, and we’re sure you’ll find we match up to all of the criteria listed above! 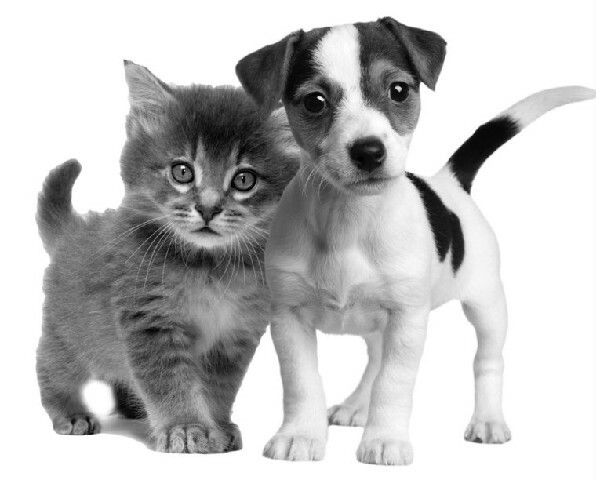 Neighbors & friends – Keep a close eye on your pets if you take them to parties or have people over. Just because you realize that bratwurst might cause digestive upset for your pet doesn’t mean your neighbor does. Also, unfamiliar visitors and crowds can make it easy for frightened or curious pets to slip out the door. Make sure that your pet has a “safe” quiet place to retreat to and be sure it is wearing identification with current contact information. Not-so-pet friendly treats – Do your best to keep your pet on its normal diet. Extra treats and fatty food can cause vomiting and/or diarrhea at minimum, and could even result in more severe digestive problems like pancreatitis. Some “people” treats such as alcohol, onions, chocolate, and grapes or raisins could even result in death. Fireworks and other hazards – Obviously fireworks and other direct flames can be dangerous to pets. Be sure to keep them secured and out of the way when such activities are occurring. But did you think about the loud noises a fireworks display may cause? Scared pets may hide or worse, try to run from the noise. 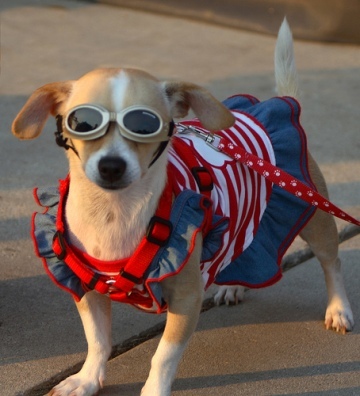 If your pet has severe anxiety related to fireworks, talk to your veterinarian about potentially using a sedative to help get them through the holiday. For those of you who are dealing with fireworks anxiety, be sure to enter our sister hospital’s Thunder Shirt sweepstakes!